Wave [iv] unfolded in a flat and the following rally was wave [v] or a part of it. As soon as this impulse is finished it'll be interesting to see how far the markets will correct. 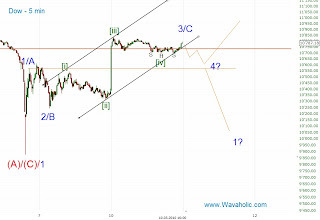 A drop below the wave A/1 high and the bearish scenario is to be preferred and the stock market should crash this/next week. 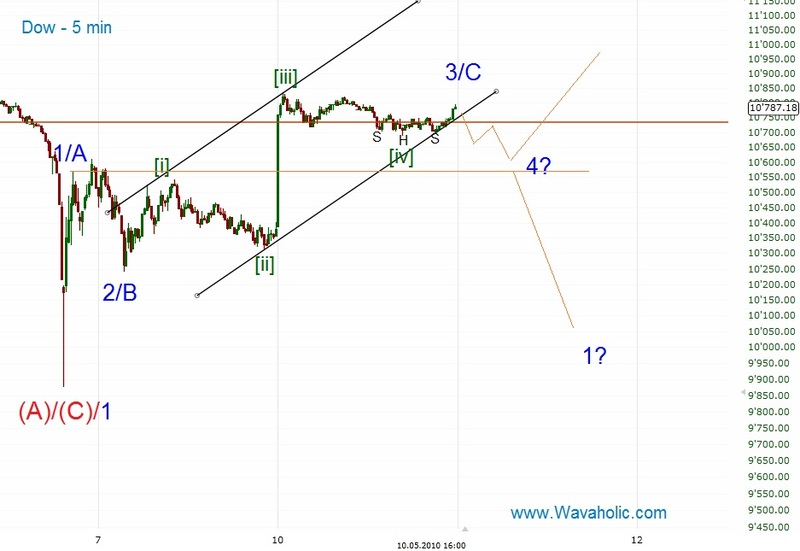 Only a small correction though followed by another high later this week would be bullish since we'd have completed a motive wave from the lows.